New Chelsea manager Maurizio Sarri said he was "confident" in retaining Eden Hazard and Thibaut Courtois, who have been linked with moves away from the club this summer. 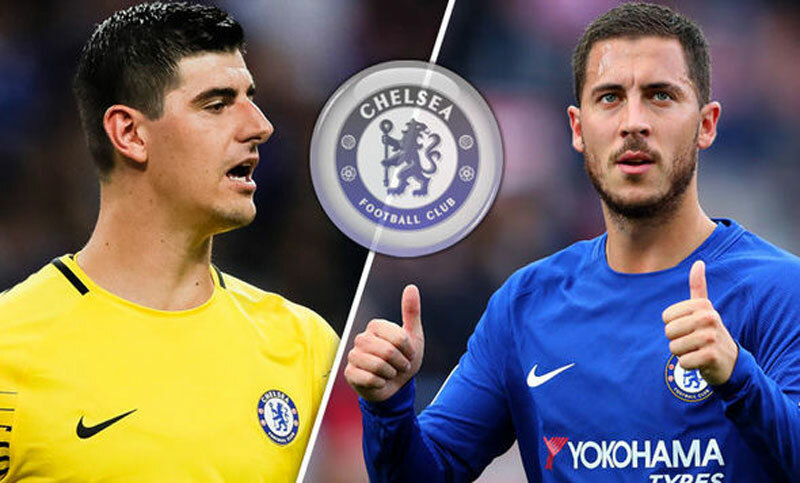 Both Hazard and Courtois were waiting until Chelsea's manager situation was settled to decide their future amid reports of interest from Real Madrid. But speaking in Australia after winning his first preseason game in charge of Chelsea on Monday, Sarri said he planned to wait until he can meet the players in person. "I'd like to talk to a person face by face. I don't like to talk to a person by telephone," Sarri said. "It's a pleasure to have Courtois, to have Willian, to have Hazard, but [their future] doesn't depend on me, not only on me. So, we have to wait. I'm confident." The players are not on tour with Chelsea following their exertions at the World Cup, but Sarri hoped to meet with them when they return to London in the next week. "Face to face, I think at the end of the month because they will come to Cobham [training ground] at the end of the month," he said. Sky Sports reported on Monday that Chelsea have rejected a third Barcelona bid -- this time in excess of £55 million -- for Willian, but defender David Luiz expressed optimism that the Brazilian winger would not leave. "I think that the press sell the players every single year. They buy players, they sell players," he said. "I hope the trio can stay because they are fantastic players, fantastic talents and we need the best players in Chelsea. "I speak to Willian almost every day, he loves to play for Chelsea. I think he's going to stay." Chelsea dominated the first half, as Pedro Rodriguez scored five minutes in, and though Perth Glory held their own in the second half, Sarri was overall pleased with the performance in the 1-0 victory. "The result was not the mirror of the game, but the performance is more important in this period," the former Napoli boss said. "I am satisfied by the performance in the first half and the first 15 minutes of the second half, not the last 30 minutes. "We have to go back to Cobham and work very hard. We know we have to improve very quickly. "I expect us to improve match by match. It's not easy at this moment because we are without 12 players from the World Cup." Chelsea face Inter Milan in Nice, France, and Arsenal in Dublin in the International Champions Cup before facing Manchester City in the Community Shield on Aug. 5. One more ICC warm-up against Lyon awaits in London before the Premier League season kicks off on Aug. 11 at Huddersfield.